We support burn survivors of all ages and in all stages of recovery. Our deep commitment to supporting burn survivors goes back to the inception of our organization after a 15-day period in 1987 when three fires took the lives of 17 children and three adults. Those events prompted the creation of The Wisconsin Alliance for Fire Safety (WAFS), which aimed to not only promote fire safety & prevention but also support burn survivors. In 1989, partnering with the Wisconsin fire sprinkler industry and the National Fire Sprinkler Association, the first annual Burn Center Golf Invitational (BCGI) was held. Over more than 30 years this event has raised more than $2,500,000. In those early years, the funds raised from BCGI helped to send eight young burn survivors from Wisconsin to the Illinois Fire Safety Alliance “Burn Camp.” By 1995, based on the need here and the positive impact to those who had attended the Illinois camp, the first Wisconsin Burn Camp was held. 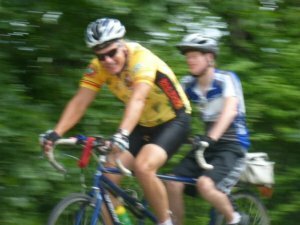 In 2015, the Professional Fire Fighters of Wisconsin Charitable Foundation absorbed the Wisconsin Alliance for Fire Safety with the promise to continue the important work of supporting burn survivors through Burn Camp as well as through a variety of programs for survivors of all ages and in all stages of recovery. Our 25th Annual Burn Camp will take place at Camp Timber-lee just outside of East Troy, Wisconsin, August 11-17, 2019. This free, weeklong summer camp provides remarkable continuation of care for kids with life-changing burn injuries by promoting healing and peer support and helping campers visualize life beyond their injuries. Each year our Steering Committee works year-round to plan a new Burn Camp theme that makes each child’s experience fresh, unique, and more impactful. In addition, the hard work and participation of more than 100 burn survivors and volunteers make this camp special for everyone who attends. 2019 Camper Application: Burn Camp Camper Applications Coming soon! 2019 New Staff Application (Staff orientation is 8/11/2019): Fill out here. 2019 Returning Staff Application: Fill out here. 2019 Young Adult Leadership Program (YALP) Application (Ages 18-21): Fill out here. Burn Camp Explorer Application (Ages 3+) Day camp is August 14, 2019: Fill out here. Burn Camp Brochure: View here (PDF).  Our Winter Leadership Retreat for Young Adult Burn Survivors is held every February in the Wisconsin Dells area. More than 30 young adult burn survivors (ages 17-25) from across Wisconsin attend. The focus of this 3-day weekend is service leadership that provides young adult burn survivors with the tools and skills needed to overcome obstacles in their lives and thrive as leaders in their communities. Applications will be posted here when available. 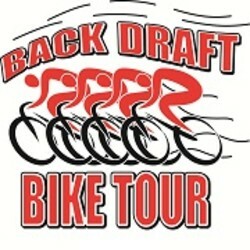 Held in conjunction with Neenah-Menasha Firefighter’s Local 275 Backdraft Bike Tour the first weekend in June this is an opportunity for burn survivors, families, and staff to connect each year. The PFFWCF, along with our partners, provides support and collaboration with Wisconsin Burn Centers. Our goal is to ensure the best treatments and outcomes possible; as well as, improving continuity into our programming. Pictured Below are members of the UW Burn Board at The Overture Center for the Arts in Madison during Burn Awareness Week. 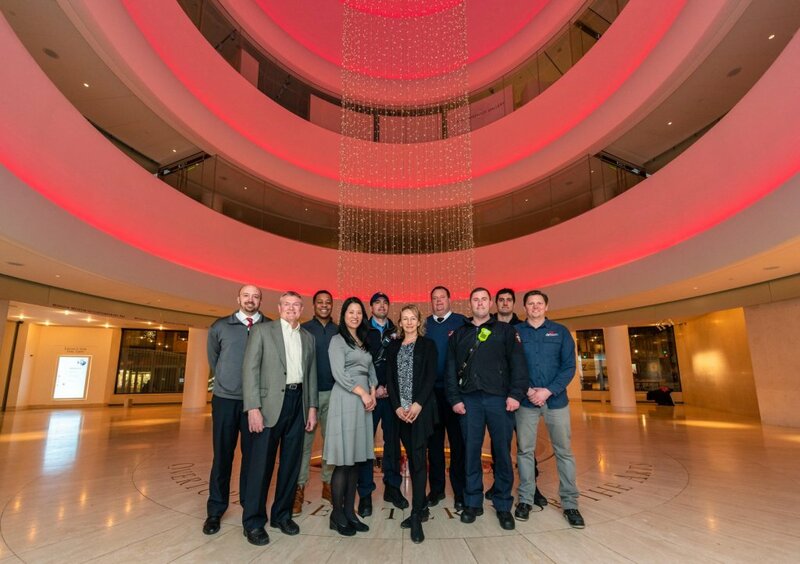 The Overture Center turned their lights red to help us create awareness about Burn Awareness Week. Applications are program specific and will be posted here when available. WBC is the world’s largest gathering of the burn community, connecting attendees with support, resources, and each other. For many, it is the first chance to connect with others on the journey to recovery from a burn injury. Every year we send delegates from the Burn Survivor Community here in Wisconsin to attend this impactful event. 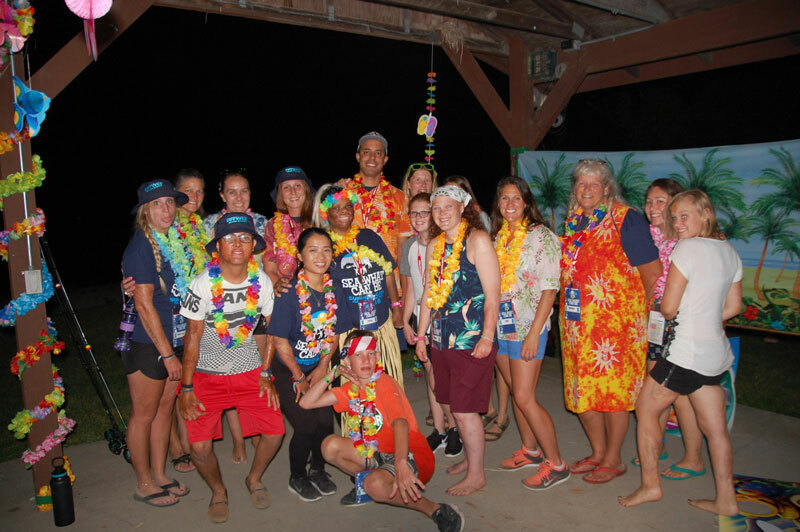 Every year one of our Summer Camp for Burn Injured Youth campers along with a camp counselor is selected to attend the International Association of Fire Fighters Burn Camp where they spend a week with other burn survivors from across the United States and Canada. The Professional Fire Fighters of Wisconsin Charitable Foundation provides academic scholarship to burn survivors that attend or have attended our programming. To apply please click here.